Indiana University East fine arts students will lead talks at the Richmond Art Museum during “Women in Art.” The first session is today (June 12) from 12:45-1:45 p.m. in McGuire Memorial Hall Auditorium. The sessions are free and open to the public. 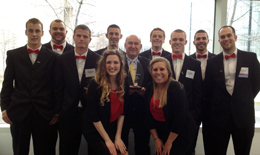 The Indiana University East Enactus team won a regional championship in its league during the Enactus United States Regional Competition Exposition held April 12 in Chicago. The team will advance to the national competition May 21-23 in Kansas City. 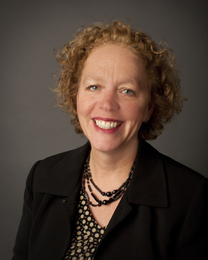 Indiana University East’s Master of Science in Management program within the School of Business and Economics welcomes applications for its third cohort to begin August 2013. Applications are reviewed on an ongoing basis with priority given to applications received prior to July 1. The IU East Center for Leadership Development’s next Management Series workshop is from 1-4 p.m. on Tuesday, December 4, in the Whitewater Hall Community Room. The cost of the management workshop is $75. Visit iue.edu/leadership to register and to learn about discounts for multiple participants from the same organization, discounts for Wayne County Area Chamber of Commerce members and certificate options. The IU East Center for Leadership Development will host a Career Advantage Series from 5-6:30 p.m. on Tuesday, November 27, in the Whitewater Hall Community Room. It is free to attend this workshop. Refreshments will be provided. Registration is available online at iue.edu/leadership. The IU East Center for Leadership Development is hosting a management workshop, “Facilitating Meetings for Results,” from 9 a.m. to noon on Wednesday, September 19, in Hayes Hall Room 275. Participants will explore a variety of tools and techniques for efficiently and effectively managing meetings and achieving intended meeting outcomes. Upon completing the course, participants will be able to distinguish between different types of meeting activities, describe the ingredients of an effective meeting, apply specific management tools to meetings for which they are responsible, recognize and respond to a variety of problem behaviors, and understand and apply the basics of group development.